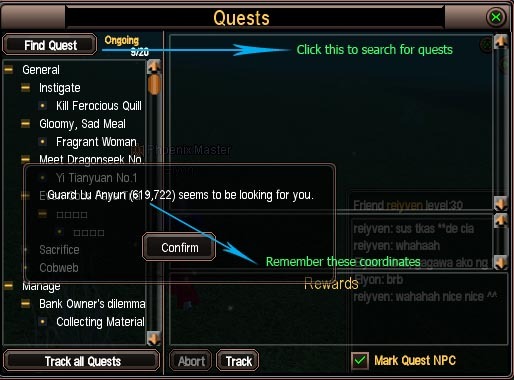 This is for those who are not aware of this search function in PW that helps in finding and finishing quests a little faster. 1. Press Q or Alt Q to activate the quest window. 3. Make sure to remember the exact coordinates. 5. 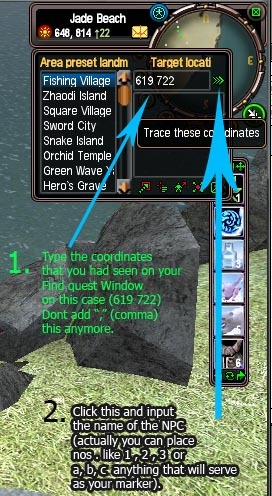 Input the coordinates for your quest (Dont add the “,” comma). 6. Click the »» icon at the right side of the coordinate window. 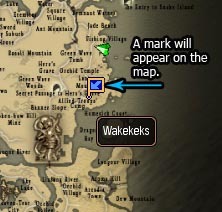 8. and Lastly Press M (A mark will appear on the map, showing you the exact location of the NPC/Landmark that you are looking for).